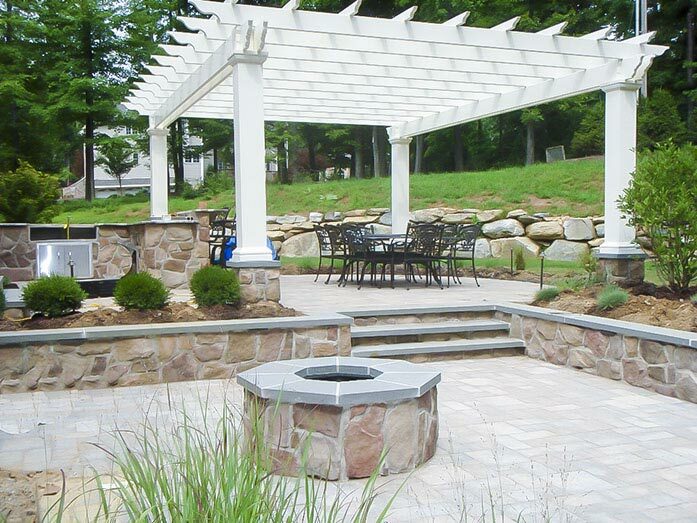 Are you looking for a beautiful addition to your back yard landscape design? 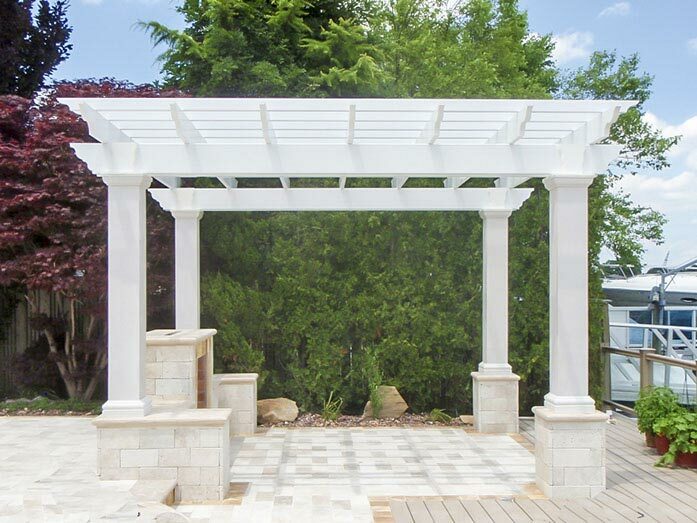 Maybe an outdoor structure? 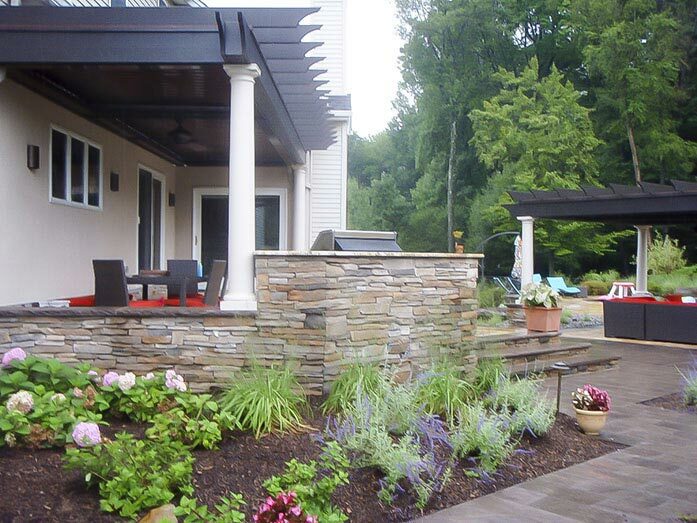 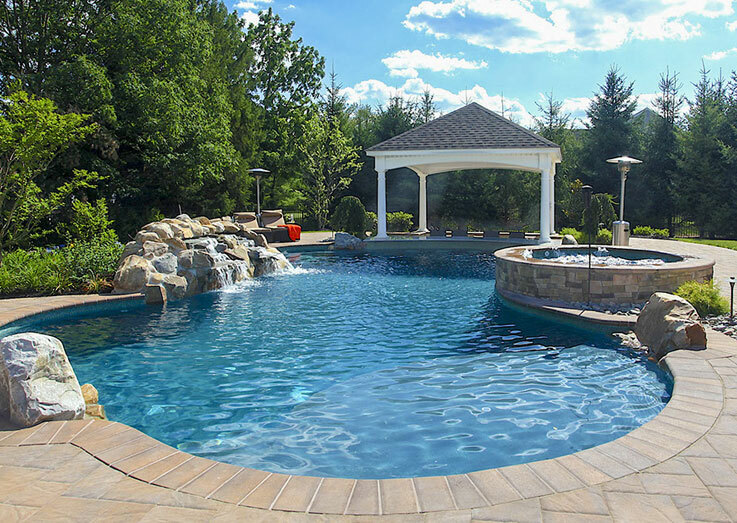 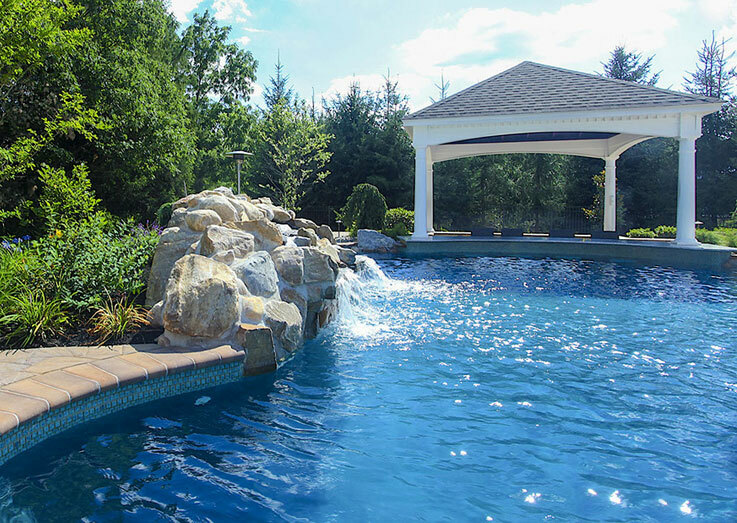 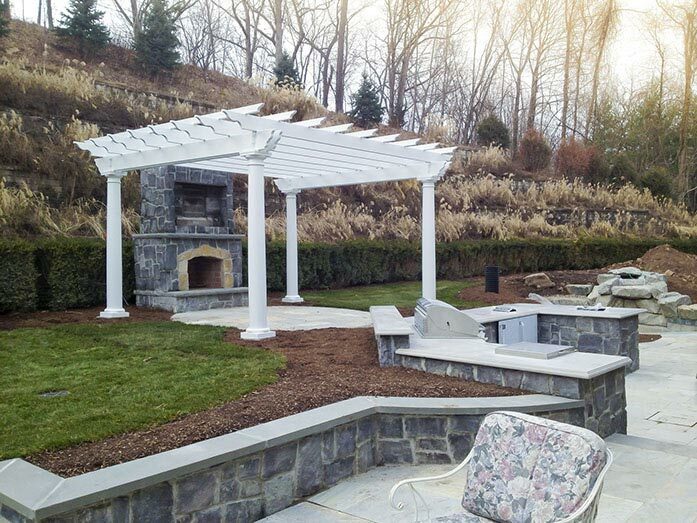 Backyard enthusiasts are always searching for the next piece of landscape that takes their property to the next level of beauty, visual appeal, and opportunity for enjoyment. 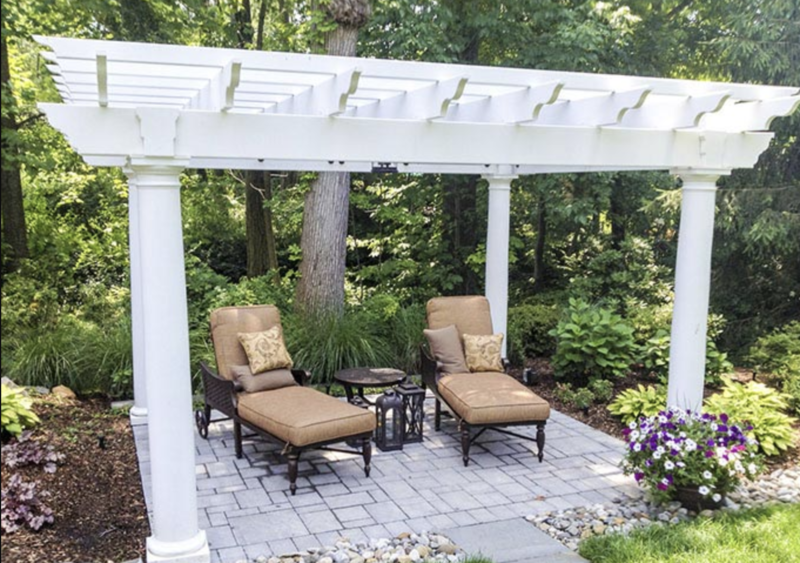 Of course, there is good reason for this, as tasteful additions help create a unique personality for your home in addition to extending your family’s warmth and hospitality. 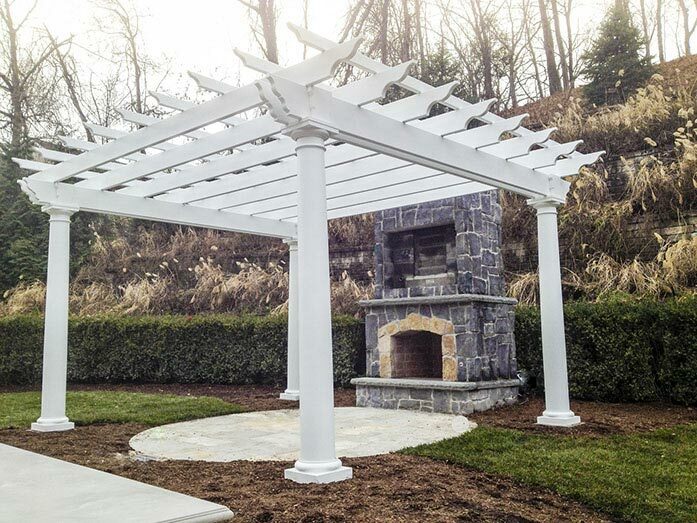 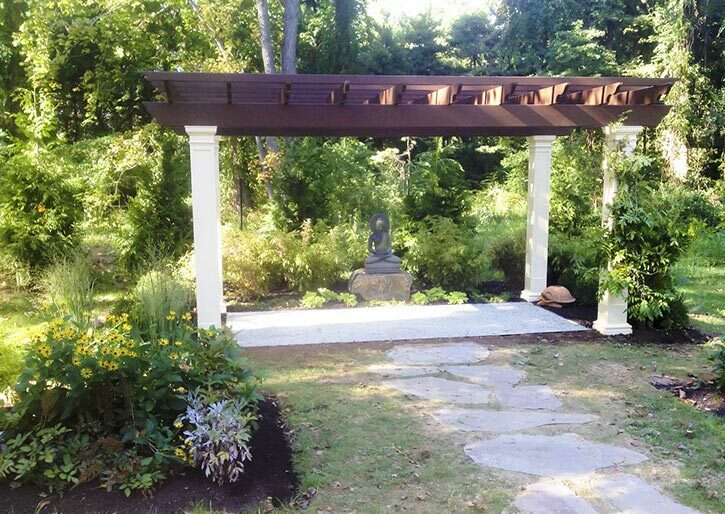 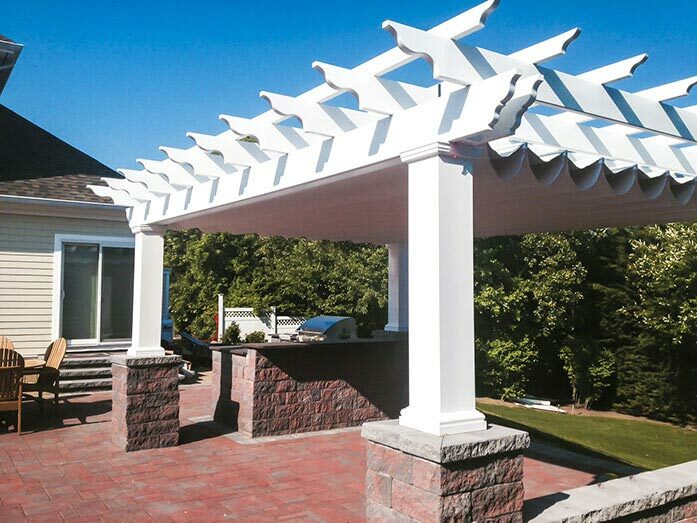 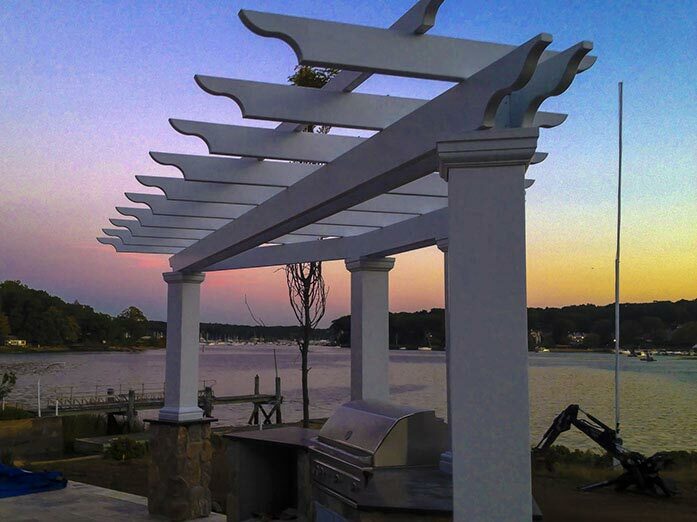 If you are considering the next addition to your landscape, consider installing a central jersey pergola. 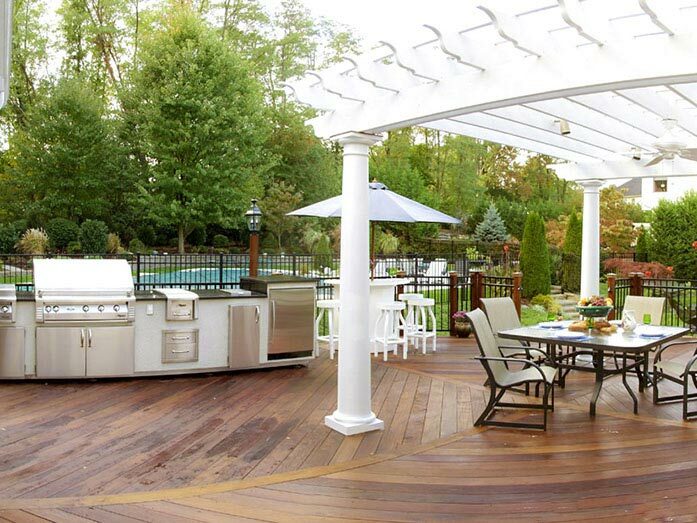 If you have already installed a deck or patio, you likely added it to extend your living space beyond the walls of your home. 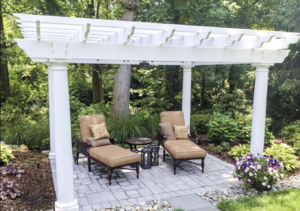 If you have found that you love your outdoor living area but that it’s not quite so useful on a summer afternoon when the sun is beating down or if you wish you had protection from bad weather, a pergola may be for you. 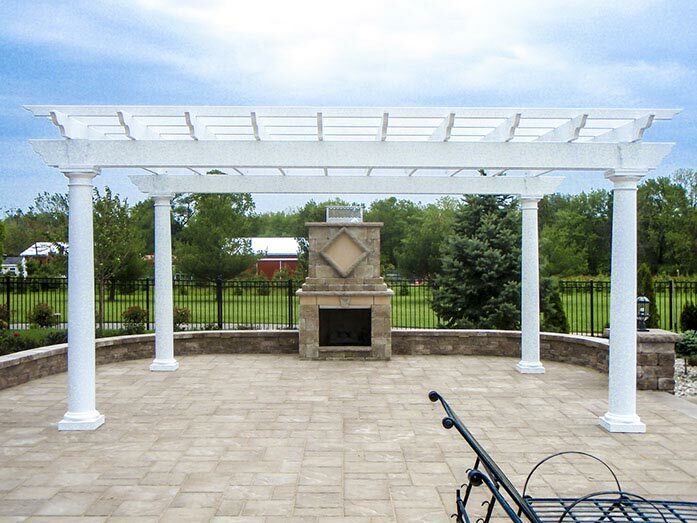 A pergola extends your living space and increases the amount of time you can spend outside. 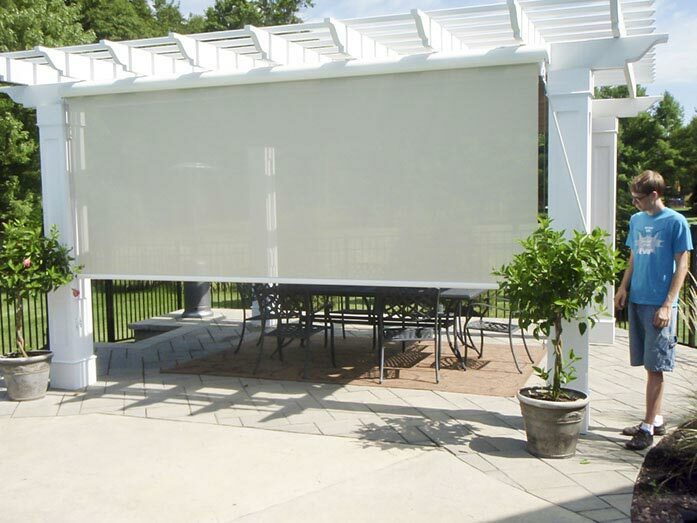 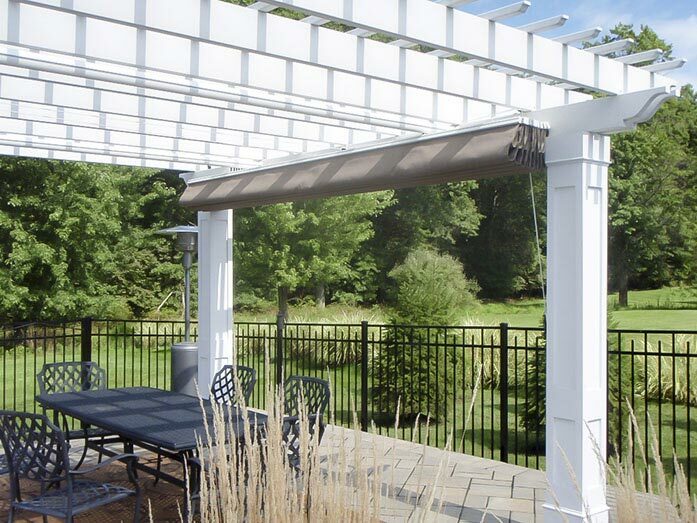 Designed and oriented correctly on your lot, a pergola can cast enough light shade to make even a warm afternoon enjoyable or if you still need additional protection, you can install a retractable shade cover for more shade. 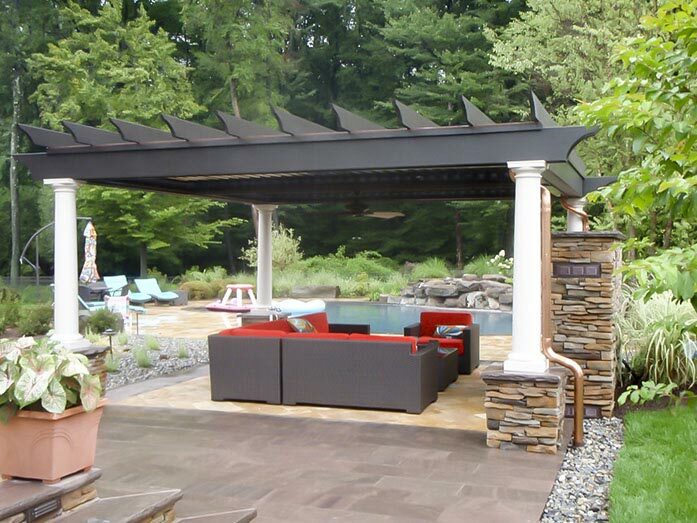 Some shade covers will even protect you from a light rain, perfect for those unpredictable summer storms. 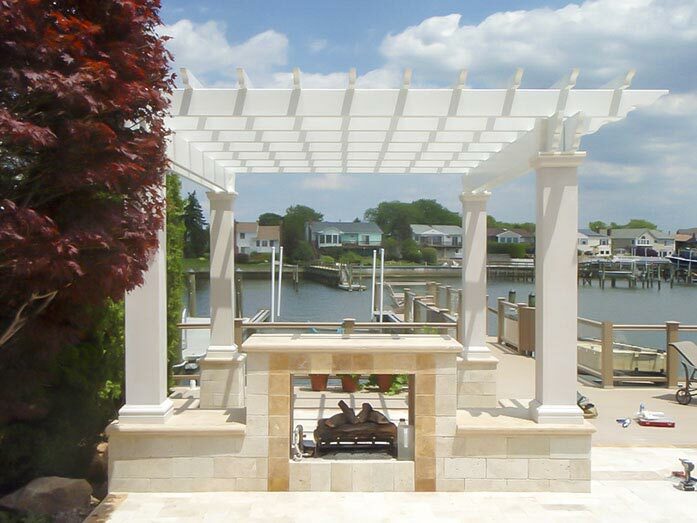 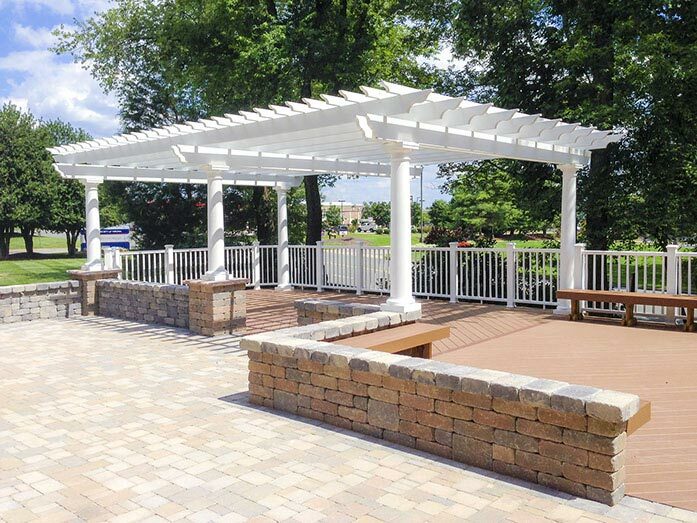 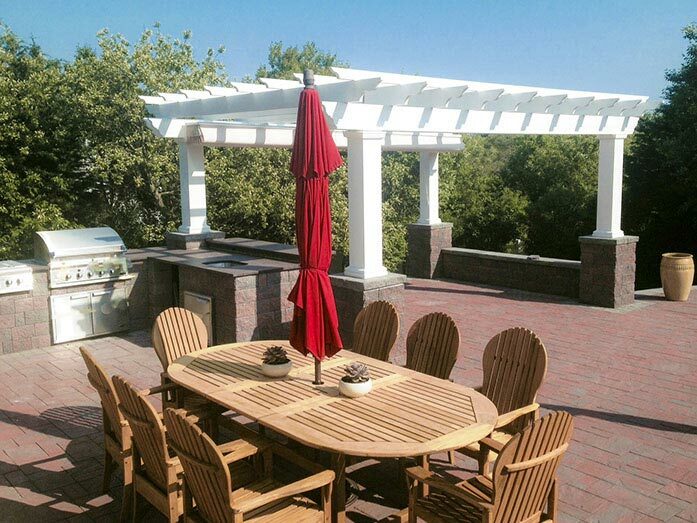 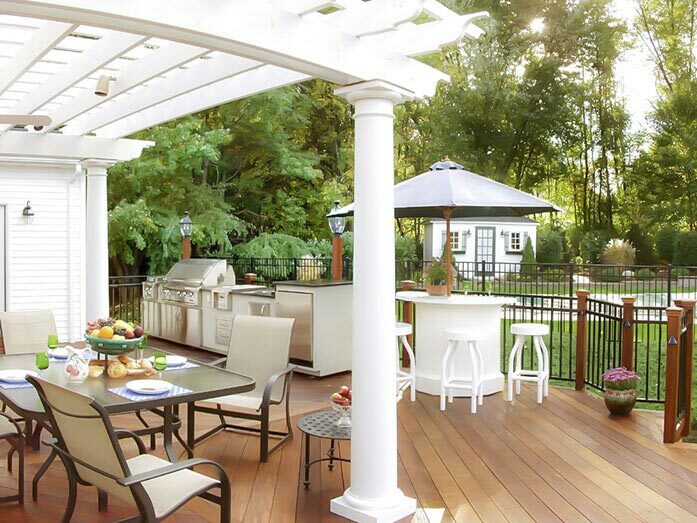 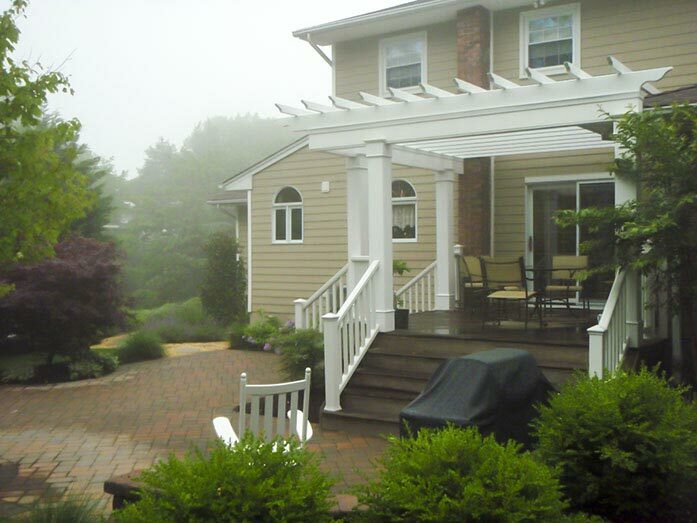 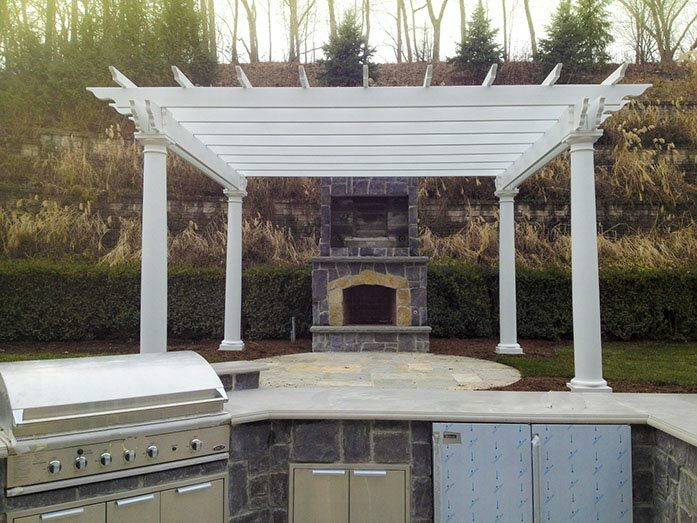 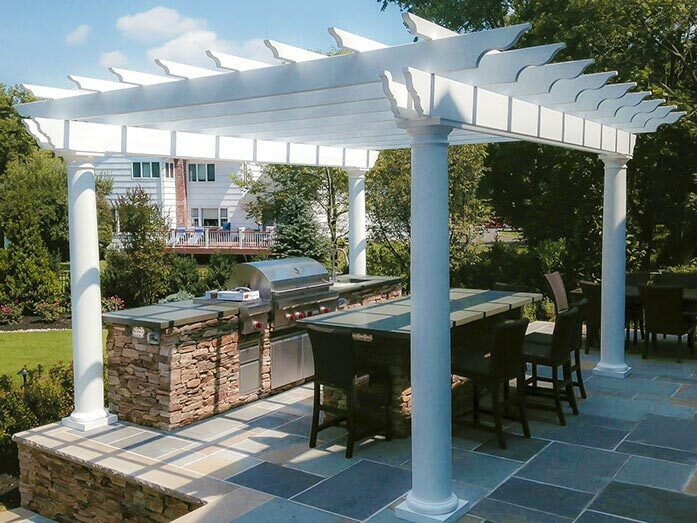 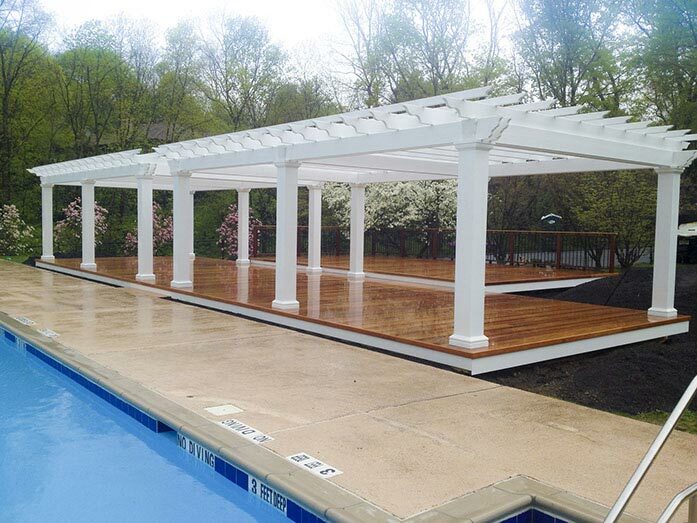 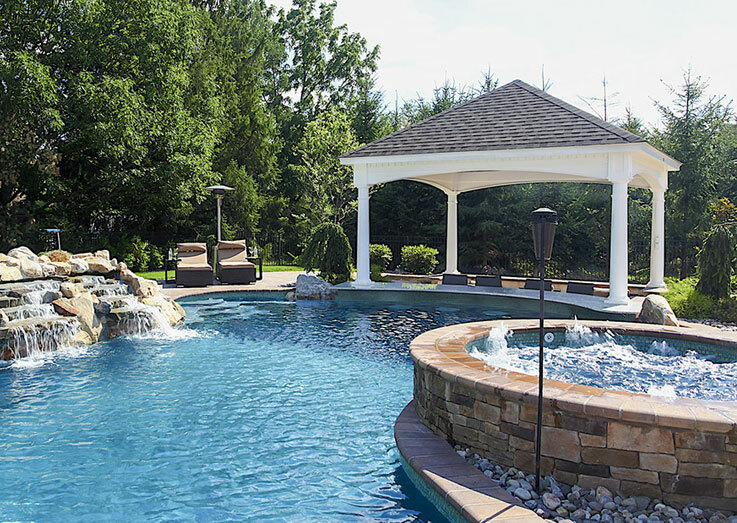 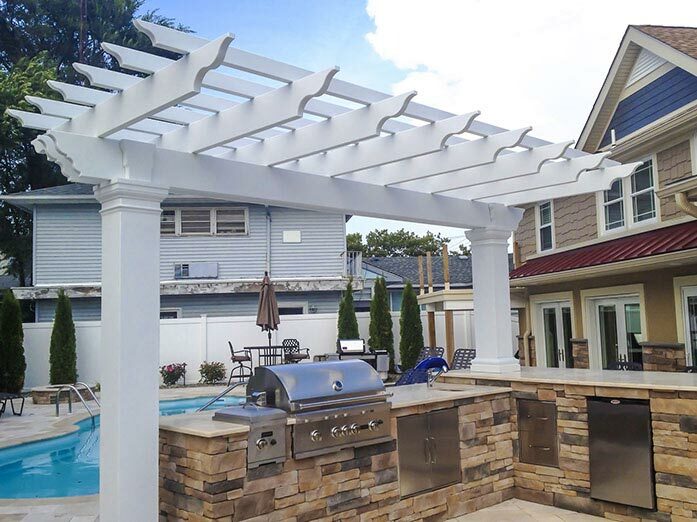 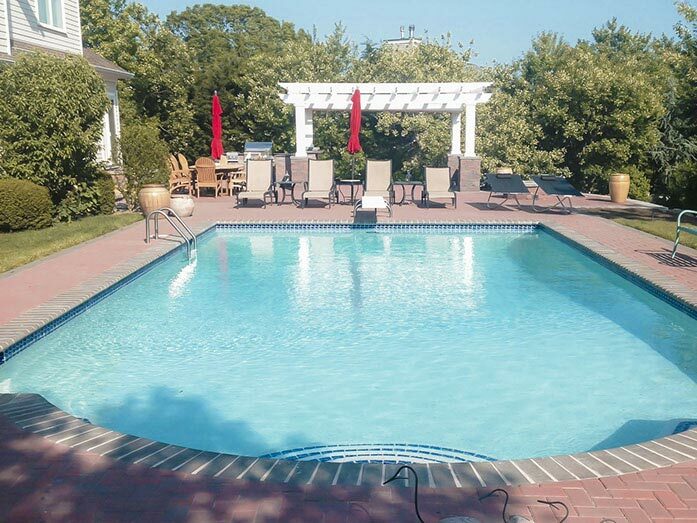 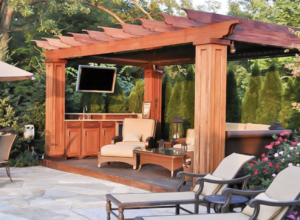 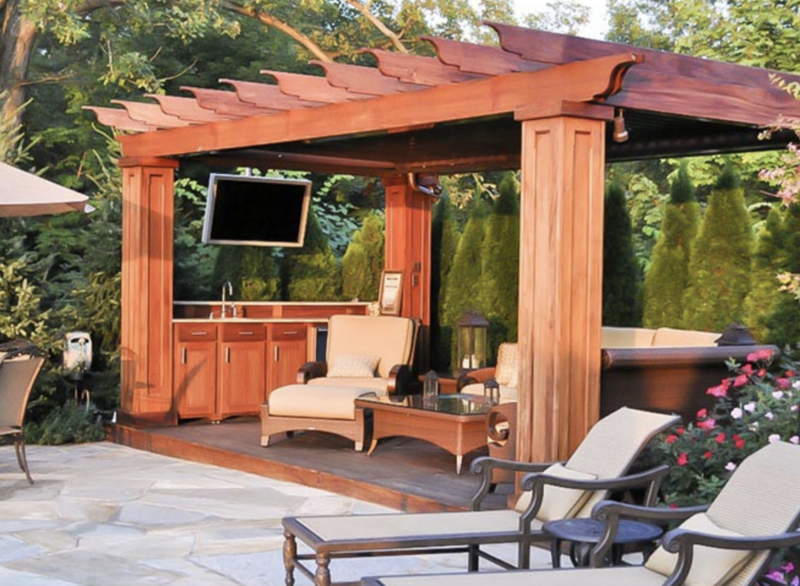 Central Jersey Pergolas | Design Options are Endless! Pressure-treated wood: A pressure-treated wood pergola is often your least expensive option. 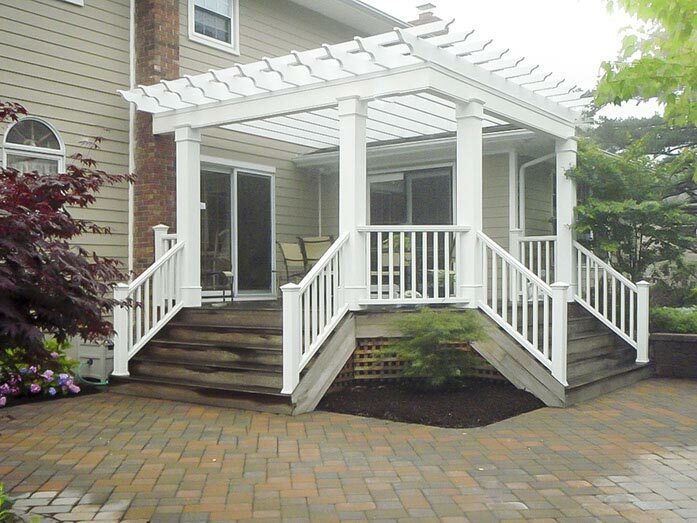 They’ll have a reasonable lifespan but pressure-treated lumber can warp, crack, and check over time. 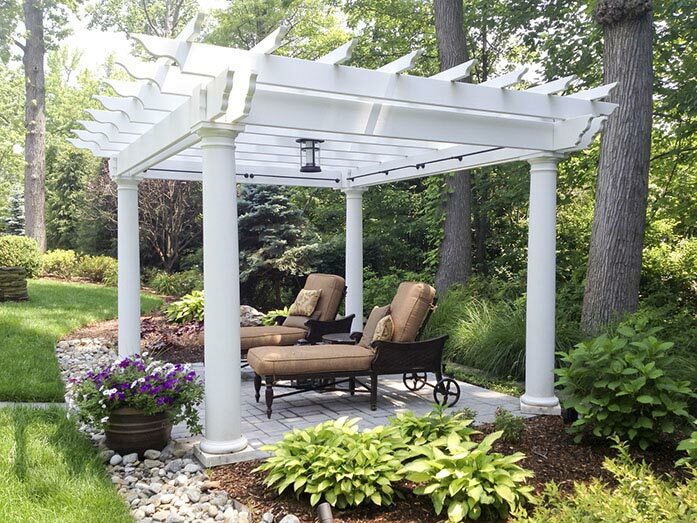 This type of pergola generally looks best if painted or stained. 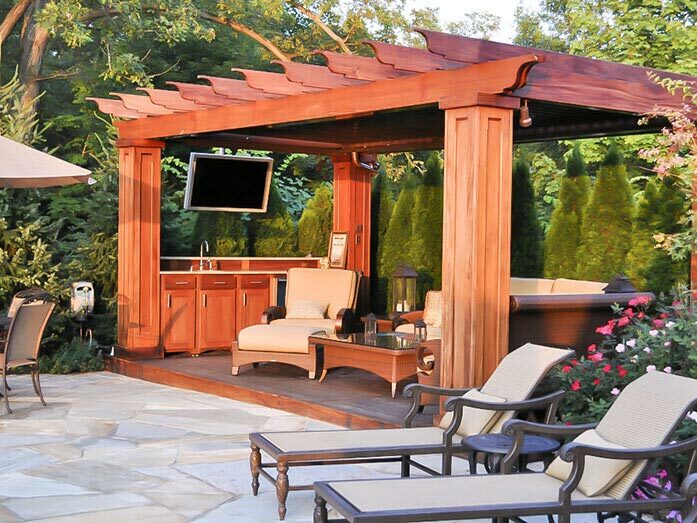 Cedar wood: Cedar (typically Western Red Cedar) is a popular choice for pergolas. 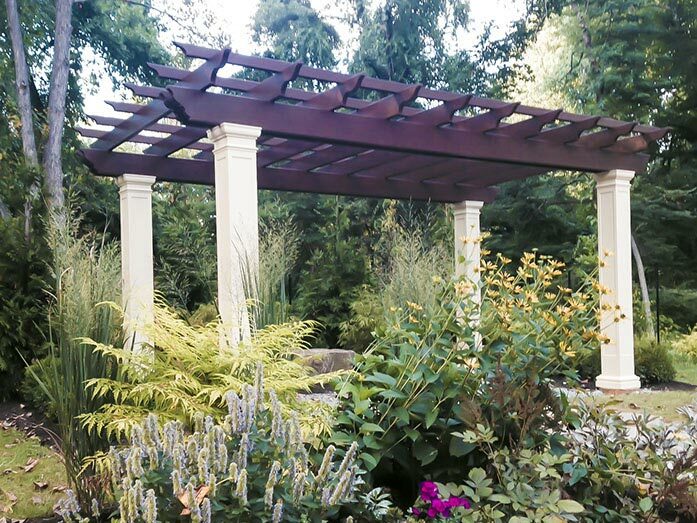 It’s naturally insect resistant and looks beautiful right from the sawmill. 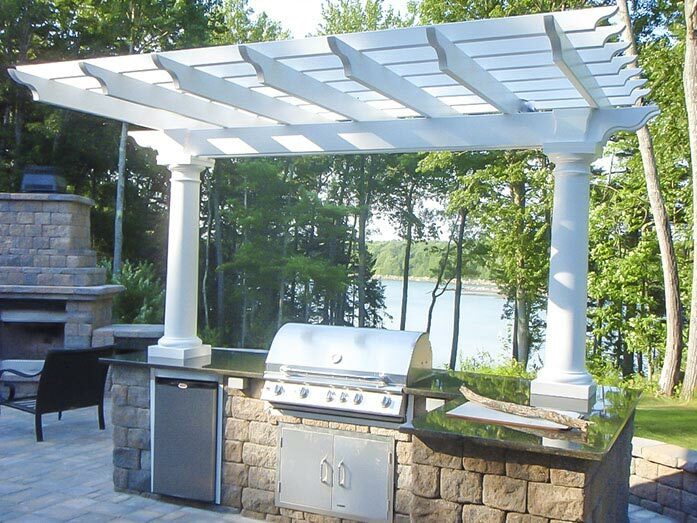 You can leave it untreated to turn a soft silver gray, or stain and seal it to hold its color. 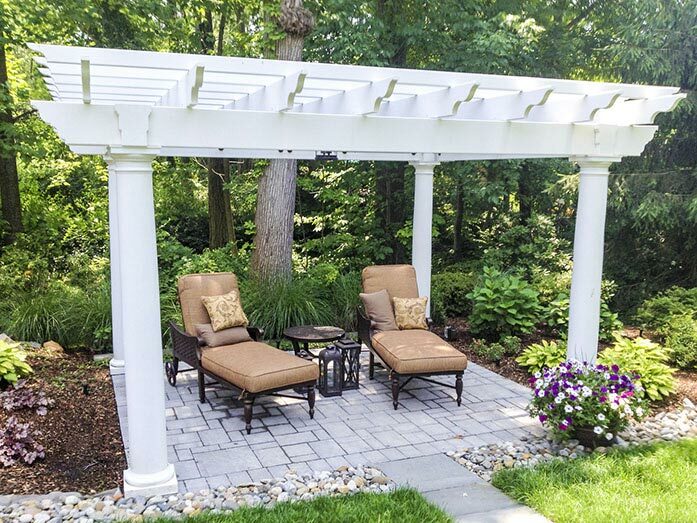 A cedar pergola is more expensive than a pressure-treated pergola, but you’ll typically get a longer serviceable lifespan from cedar. 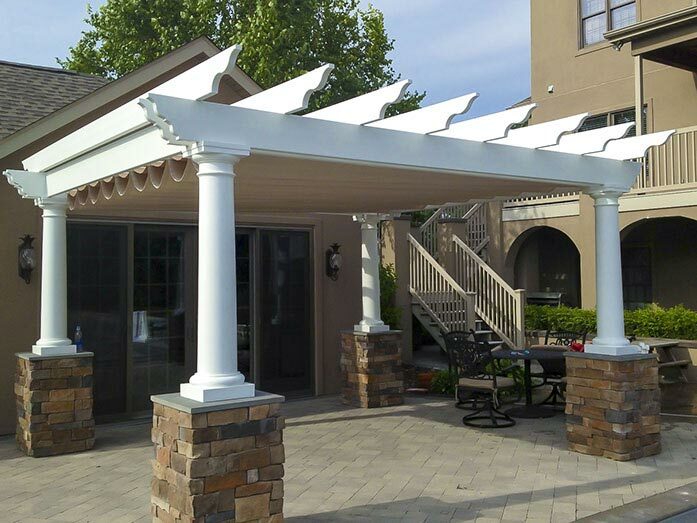 Vinyl: If you’re looking for a pergola that requires very little maintenance, vinyl is certainly worth consideration. 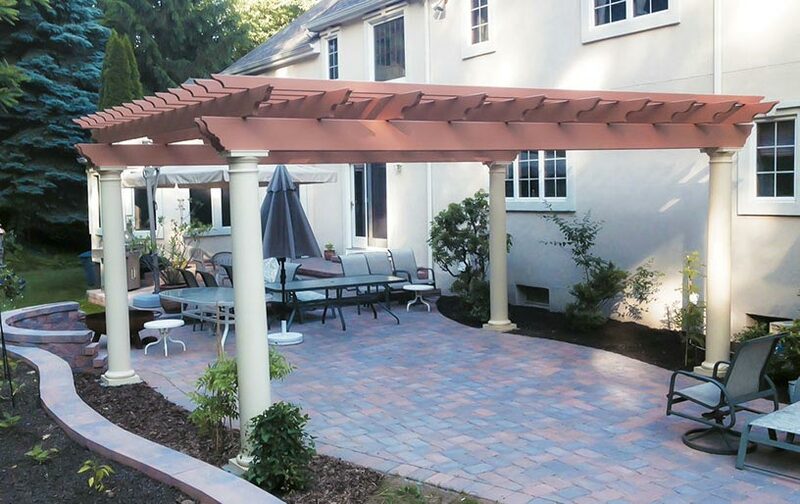 You cannot easily paint a vinyl pergola, however, so your color choices are limited. 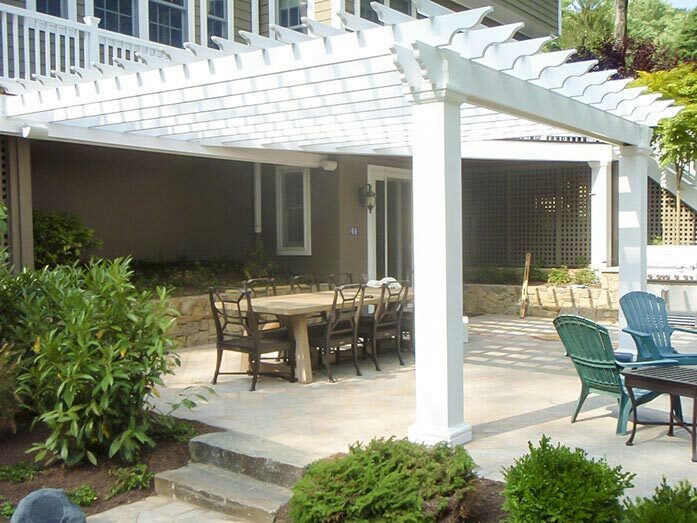 Fiberglass: Fiberglass pergolas are generally the most expensive way to go, but they come with significant benefits. 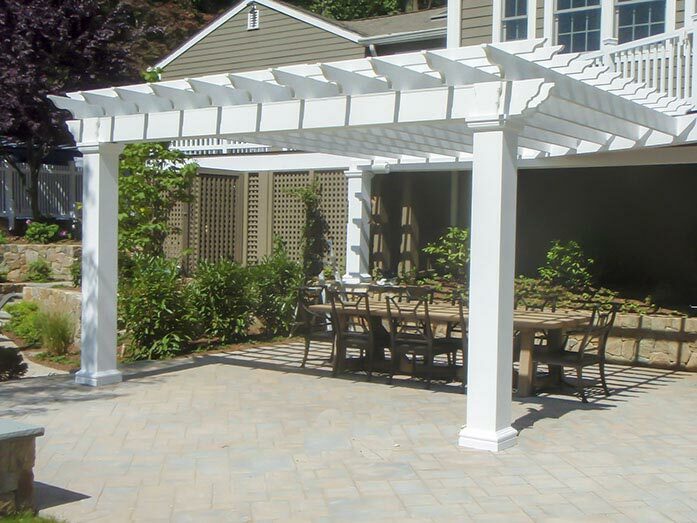 Because fiberglass is so strong, you can span much longer distances without posts, (in some cases, about 20 feet) giving you a cleaner look). 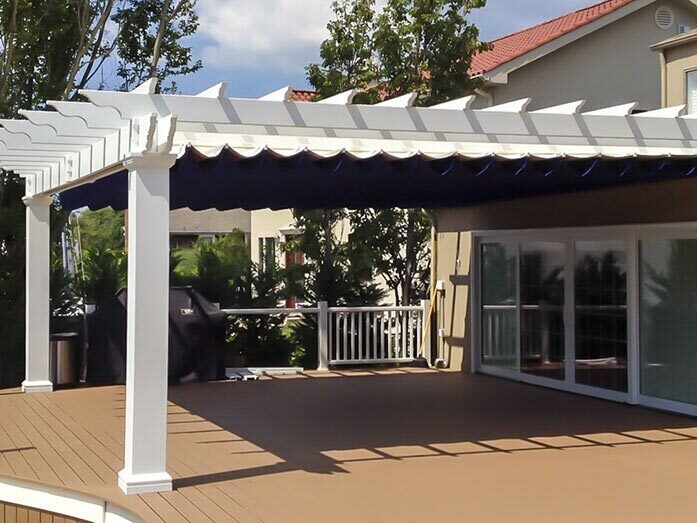 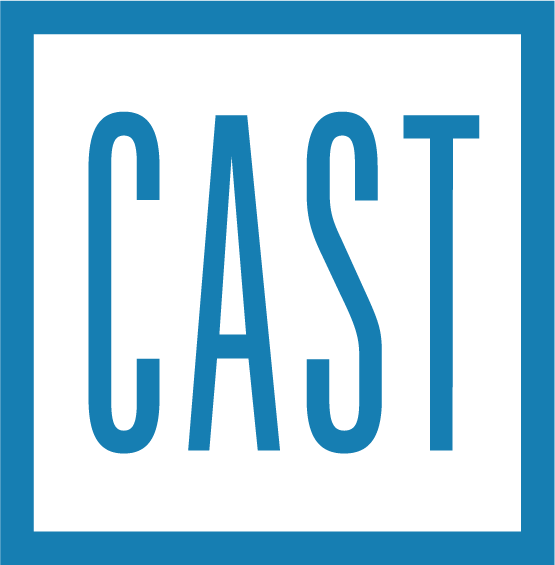 Fiberglass can be painted any color you want, and the paint will hold up better than on wood. 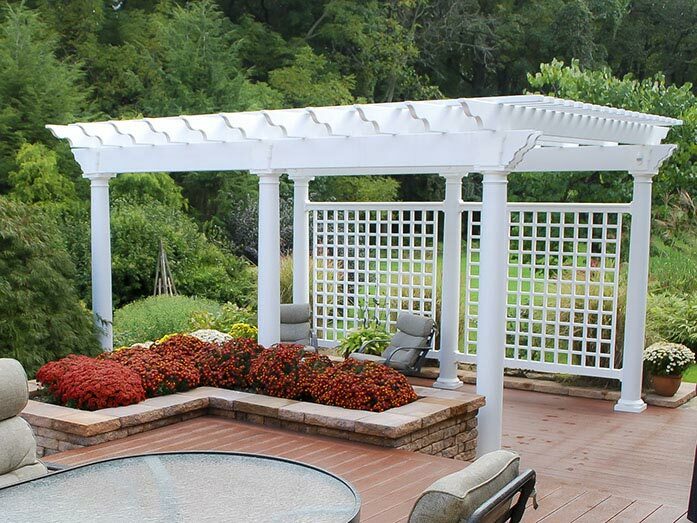 Finally, fiberglass pergolas are perfect for adding to either a deck or existing patio. 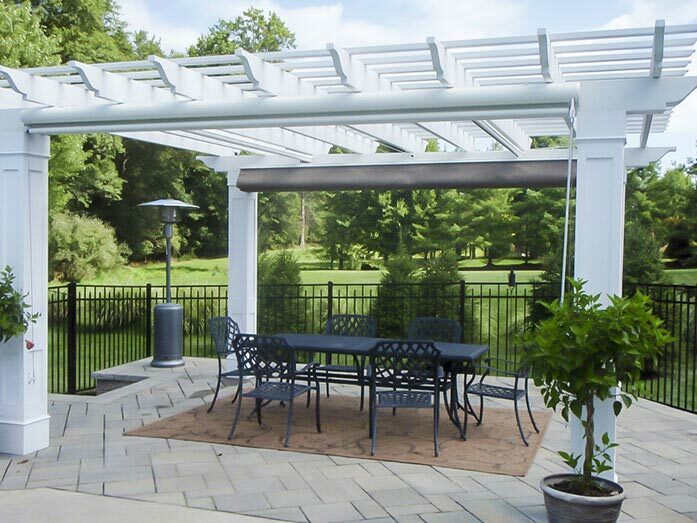 Due to their light weight, fiberglass pergolas don’t require the same deep footers as other materials dictate.